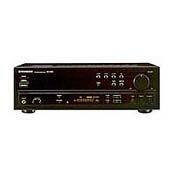 I bought this stereo along with a turntable from sears, with my first credit card, when I was a teenager.......I have been using regularly for more than 20 years now, have never had it maintenanced and it has served me SO well and strong! Only now is it starting to short out inside, so it may be on its way out, but it was well worth my teen foolish high interest investment haha. I’ll be very sad when it finally goes. I have owned one of these since 1997. I bought it brand new along with a Pioneer 35 disc CD player and a set of Bose 301 (v3). All of them are still going strong. I bought this receiver on a limited budget back in 1997 and it has had up all these years. I never expected that. It's a good product. Plenty of power and used these things can be had for less ess than $40.00. SX 255R I paid 50 nz dollars for it in 2013 cleaned outside and inside like new.Bass up half way and treble and sounds awesome! have two old 90s Jvc 3 way speakers on and it pumps loud.Be 20 year old amp n 2016 and bet it will go for another 20 unlike the amps of today poor quality and break down so I went back in time when sound quality was great and also when music was just about to get bad. All of you who think this has no bass or muddied high notes either have a defective unit, improperly wired speakers, or junk speakers. I have hooked mine up to cheap rca brand speakers all the way up to vintage 15 inch fisher speakers and the high notes are clear, sharp and qualify for hearing damage unless a large room is used. The super bass will rattle small items off the shelves. Learn how to properly hook up and use good speakers and there is no way you could be disappointed with this unless you are used to listening to a dj system. It turns on but the volume doesn't turn up like before,if I turn the knob all the way up you'll hear it but only if your next to it. Does anyone have any idea of what it could be? My friend gave me this receiver as he no longer wanted it. Now I know why. I first took it because it looks very nice with my Pioneer CD changer since the colors match up and I love the amber display. But oh boy. This receiver is total garbage. I set it up in my home office with the my Pioneer PD-F908 with a set of quality RCA cables. It hurts my ears to listen to CDs through the receiver. MP3s on my laptop hooked up to some 2.1 speakers sound much much cleaner....which is a testament to the sound quality of this receiver. I have been dissapointed each time I've used this receiver. To our "audiophile" Chuck, wattage does not equate to sound quality.... You can have a million watts, I'll stick to my Onkyo at 65 watts/channel. I picked this up on a 1/2 price Saturday on an outing with the wife. It came with 2 pioneer sp340a speakers. My Sony reciever with fancy schmancy HDMI jacks blew a fuse or burnt out a few weeks earlier. I have used it daily as a replacement "HEAD" and it works great with my Kenwood sub. I had to "Bridge" my surround sound wiring to make all my speakers work but The Unit performs without failure for well over the past year. The Bass is excellent. Gets very loud and very clear. Many inputs. Simple and understandable. Able to push 4 drivers. basic features and basic functions, nothing extremely exciting. Electrical noise polution can create a buzz or hum so keep it isolated. Honestly, how can anyone speak of the "quality" of the sound and include only the receiver's ability? The reciever puts out plenty of power, much more than I'll use. 100 watts per channel is more than enough to rock my BOSE 201 series IV speakers. the remaining channels definitely put some thump into my mtx thunder 7500 12"s. If you want good bass response.. use subwoofers.. that's my conclusion anyway. the superbass is usually always on as it brings the entire range of sound to a warmer tone in general. theres plenty of ways to hook your components up. I've experienced a few problems with electrical noise from large power supplies, but if you isolate the unit a few feet from computers and such, the sound is amazingly clear. no hum or buzzing as long as it's far enough away or your components are shielded. the remote is a remote, that's it. you can control your other components with it and adjust the volume and superbass. nothing more. Obviously there are much better units out there and obviously there are worse, that will be the case with basically anything on the planet you wish to purchase. For me, for free, with BOSE speakers, this unit completely rocks. many many recievers.. many many speakers.. I don't know, it is cheap? My uncle owns this black screech box. Sure, its amber display looks pleasing, but it sure sounds the opposite as any sensible person can attest. Pay no attention to the guy who knocked 1970s stereo. I own a 1978 vintage SX-780 with a THD of 0.05%, less than half what this piece supposedly rates at. The facts REALLY are that humans cannot perceive sonic distortion below .3%, and companies exaggerate power numbers these days. Back when 2-channel was king, and surround sound a ridiculous dream, Pioneer used high quality potentiometers, capacitors, power supplies, transistors, etc. Now that the average consumer couldn't give two shi+s, BestBuy can sell 100 watts (for 1 microsecond with .9% THD) per channel that "sound great." Yeah, right, all out of a 15-lb. chassis. Let's be serious people. They just don't make them like they used to (a shame). In my opinion, it's simplicity, and power. Great for a quadraphonic hook-up. It needs a little in the pulling-in of stations department. I have owned this product for 5 years & I think it works great. It has plenty of power. I am able to push my fifteen's with no problem. I am not sure what the prior gentlemen was talking about on the weak bass. I get my walls shaking just fine. There is a misconception about most 70's receivers and them having more power. Most of them had less power than todays and what you call bass is actually distortion. The fact is that THD did not drop drastically until the early eighties.